A group of researchers have discovered a genome editing technique called haploid induction editing (HI-Edit™) technology, which ultimately reduces the time it takes to develop commercial crop varieties. HI-Edit refers to the reproductive process of haploid induction (HI), which occurs naturally in wheat, corn, barley, and tobacco, combined with a genome editing technology such as CRISPR-Cas9. Using HI-Edit, breeders can modify crops at different stages in the seeds research and development process without the substantial cost and time associated with introgression, which takes up to seven years to fully complete. While this research focused on field corn and sweet corn crops, there is evidence that the technique could also be applied to wheat. 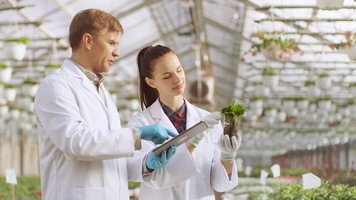 The researchers are also working on similar methods for the genus of plants related to cabbage, broccoli, cauliflower, and kale that could eventually lead to breakthroughs in soybeans and tomatoes. For more details, read the news release.